I’m assuming if you are reading this you don’t want to get so jacked and injured that you can’t even bend over to tie your shoe lace? If you do your best to PRIORITIZE PULLING movements within your strength program you will do an awesome job at 1) improving posture and 2) staying injury free. 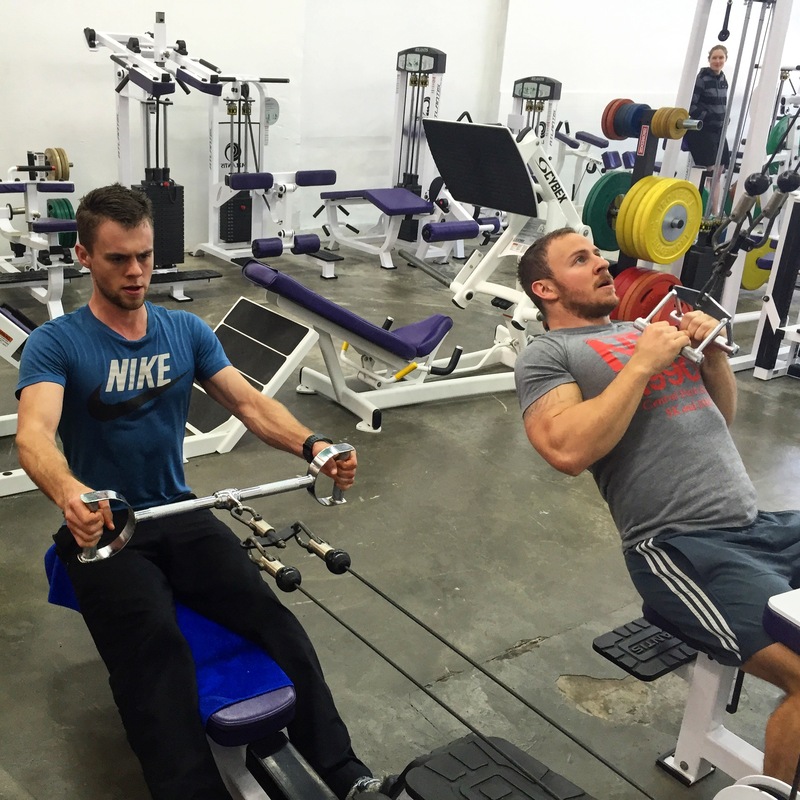 One of the most common issues I see when people start our program is that they have spent way too much time working all the mirror muscles (chest and biceps mainly) and not a lot has been put in to their upper back and lats. This leads to a lack of stability through the shoulder and presents itself through past injuries/risk of future injuries as well as decreased performance in many exercises including pressing. Want a bigger squat / bench / deadlift? Got to learn to pack some heat in the upper back and lats. We include a little bit of this stuff in almost every session and I’m proud to say we have a gym without a ton of cranky shoulders. Some of our favourites: Single Arm Rows, Chin Ups, Band Pull Aparts, Lat Pulldowns/Banded Lat Pulldowns, Banded Seated Row, Seated Cable Row, Chest Supported DB Row and TRX Rows just to name a few! Remember that the upper back responds well to higher volume (more total reps).